This bloom on a small container potted shrub reminds me of another purple bloom, in another place, the garden we moved away from a few months ago. It also reminded me that I still need to sit, that I need to be still. The birds and flowers are different, but there are yet the settling and knowing, the holy moments. Still true, in a very different garden. 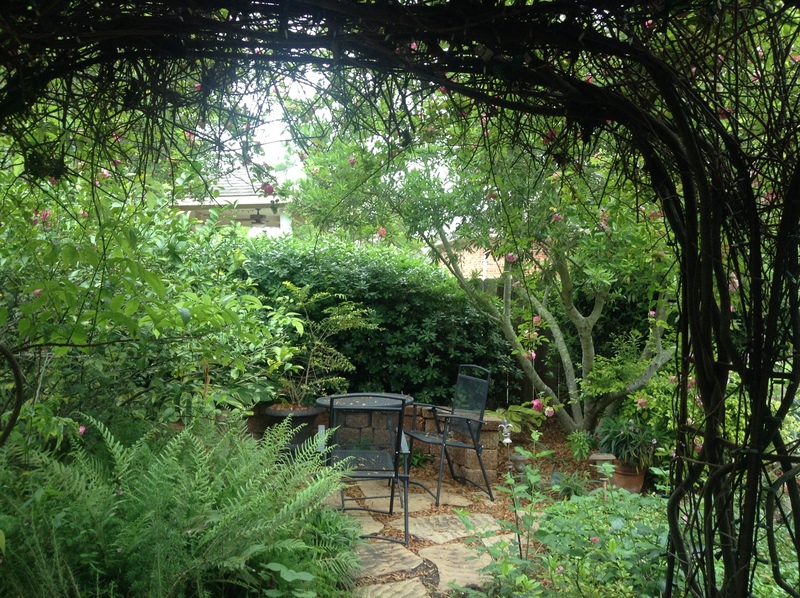 Three years ago, this is the picture I posted, a different purple bloom on the Vitex tree in that garden. Because our local temperatures have mirrored the widespread hanging on of Winter, I am even more grateful than usual for the warmth of my home and plenty of books to read. But I know that 29 degrees and wind and rain are minor compared to severe cold,snow and ice elsewhere, I am also grateful I don’t need to shovel snow and drive in those hazardous conditions. 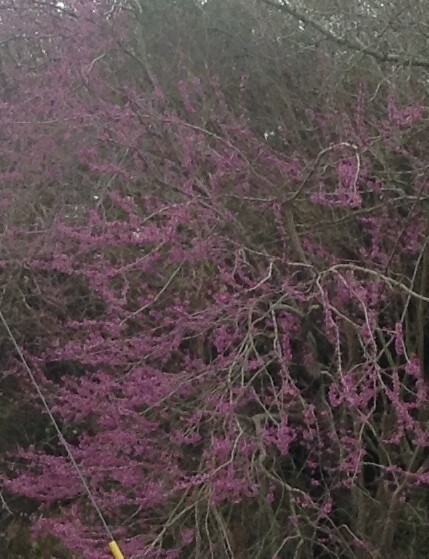 I know that Spring is around the corner – but I was still smiling in surprise when I saw this redbud tree in full bloom as my husband drove me to the surgery center 2 weeks ago. When we returned this week so I could have sutures removed, I asked him to go the same way so I could look for the tree. There it was, on a corner where we could stop for a quick photograph. I am thankful for windows, and for vision to see through them to beyond my immediate surroundings. But these would not be enough if I did not pay attention to them. 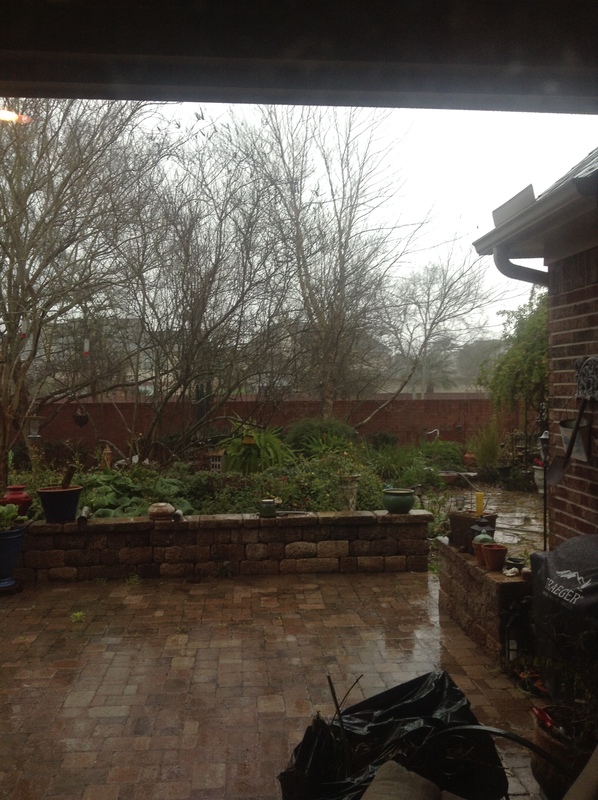 At this very moment, I am in a room with windows but the blinds are closed. By paying attention, I hear not just one but many birds warbling and calling. It is still and there is no sound of rain beating down or wind tossing branches so I know the storm that ushered in this latest cold front has moved on. I am reminded again that being aware and giving attention to my surroundings provide windows and views as well. And I am aware of stirrings within me. There are also seasons of the soul. I welcome Springtime.. 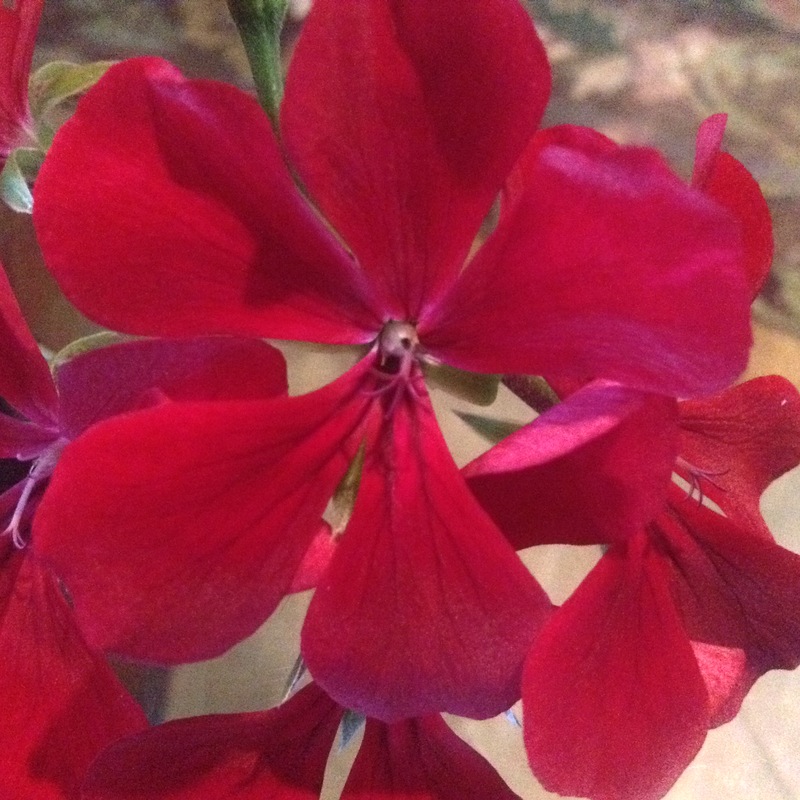 Since my recent injury and then surgery day before yesterday, I have been holding on – to my husband’s loving and steady arms, the strength of my sons, our family, friends, and church, and, always, the eternal Grace in which I am bathed.. The picture has not been reassembled so much as it has been brought into focus. This camera lens has sharpened and clarified all the pieces. I am dearly loved, well cared for..basking in Light, healing. My Lenten journey has begun. February, I already had a number of dates marked with plans leading up to Lent and Easter, a happy time and typically a very busy time for our family. And then, a week ago, I ruptured an Achillles tendon and began the changes which would clear almost everything already on the calendar and replace commitments for choir and handbells and meetings with appointments for doctors, an MRI, and surgery. I was not only in severe pain, but crestfallen, disappointed. Of course I did not welcome this interrruption and the extra work it creates for my husband and our busy family, but I realized that I was not only reacting to the physical discomfort and limitation, I needed some heart work. The weeks ahead of surgery and limited mobility closely parallel the weeks of Lent, Perhaps I could consider this time of being still and healing in that light. At the suggestion of my friend and pastor, I have registered for an online Lenten retreat which begins a few days after my repair surgery which considers the questions: Why am I here? What is mine to do? Who am I called to be? And what can I contribute and offer to the world? It is a matter of the heart. I have put it on my calendar. The final figure has been hung in my Advent shadow box. 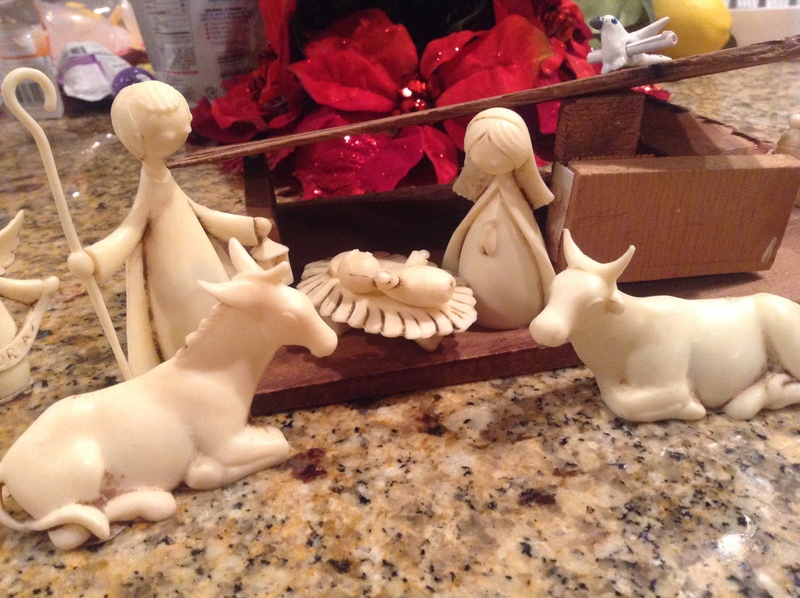 In our Nativity scenes, the manger holds a baby. It is Christmas Eve, the time of laboring, receiving. As waiting and expectancy end, the intense work so aptly named labor begins, the urgency of a baby’s entrance into our world gives way to embrace. With the birth of our granddaughter this year so fresh in my mind, I think of holding her minutes after birth. So small and precious in my arms, so helpless, yet holdiing such power over my heart. 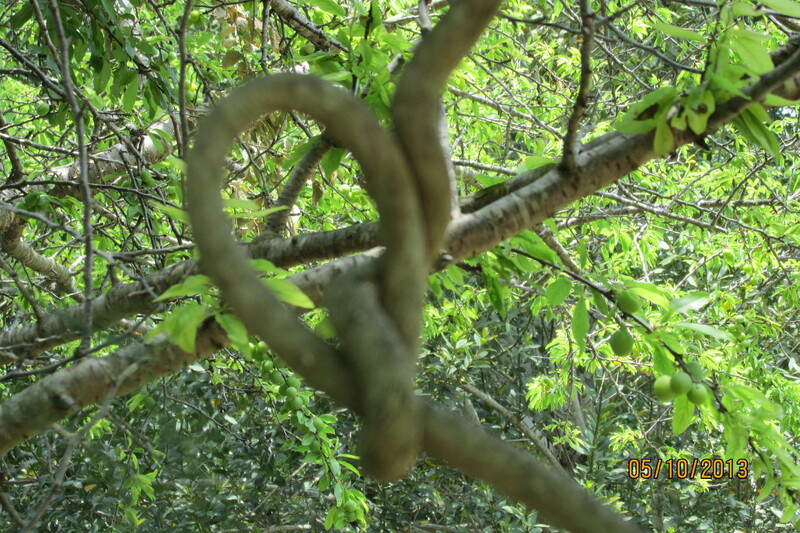 In the hush of those moments, relationship locked and sealed forever. Relationship that began the moment I heard of her coming, that grew so sweetly when I saw ultrasound images, became one that will endure past physical life. It is in that way Christ came to us. In that picture of receiving Him that we see God’s intention for relationship. We don’t just know he is coming . We welcome Him into our hearts. 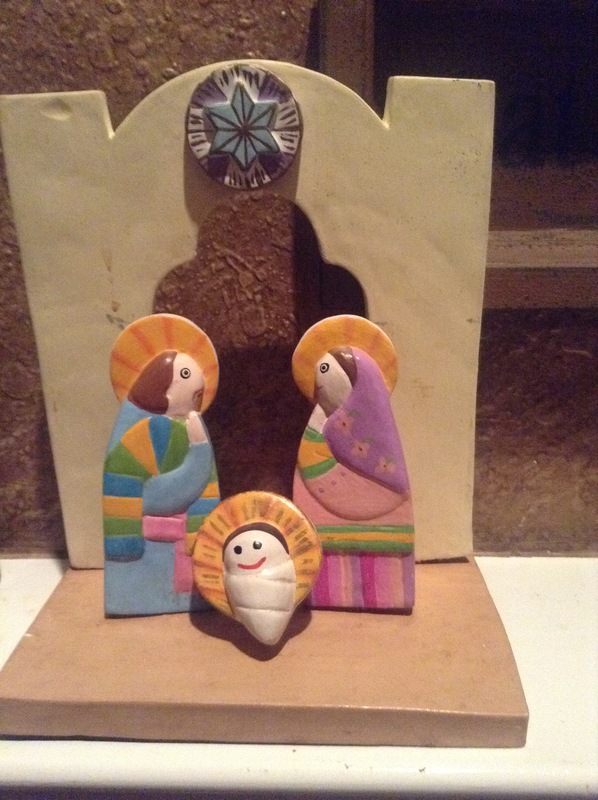 This Nativity belongs to our youngest son. He first set it up when he was very small. As a boy, he built the little shed from scraps of wood shingles. Now it sits in his own home, where his daughter holds the figures as she discovers her very first Christmas. 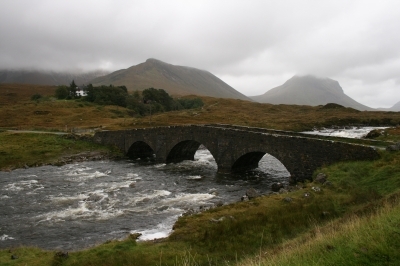 This bridge spanning the River Sligachan on the isle of Skye forms part of the only road to the west end of the island. It is in the heart of the rugged Cuillins, and the Sligachan is a rough and wide river, so the road literally makes the way possible. In the very early morning, while my house is dark and still, the flame of our Advent candle reminds me of Emmanuel, God with me, bridging impassable chaos and separation. Advent, moving forward in the days to Christmas, sings of bridges. By his coming, Christ did the unthinkable. He linked the unlinkable. “But you did the unthinkable. Thinking of Mary and gentle Joseph as simple Joe and Mary somehow gives another dimension to these little nativity figures. seeing my sweet granddaughters as they laugh and cry and run to hug me helps me give flesh to Mary , too. In her innocence, trust, and willingness to say yes to what seemed impossible, she modeled for me the miraculous outcome of being surprised by God. This touches me in a way that none of the Madonna masterpieces in all of art history. draft of a poem after thirty-nine roughs. word of curiosity, echoing Zechariah’s How? On my piano rests a book given to me by my son years ago. Every year around the middle of November, I take the book from its place on a bookshelf and place it again on the piano so that we can enjoy hearing and singing this music again. 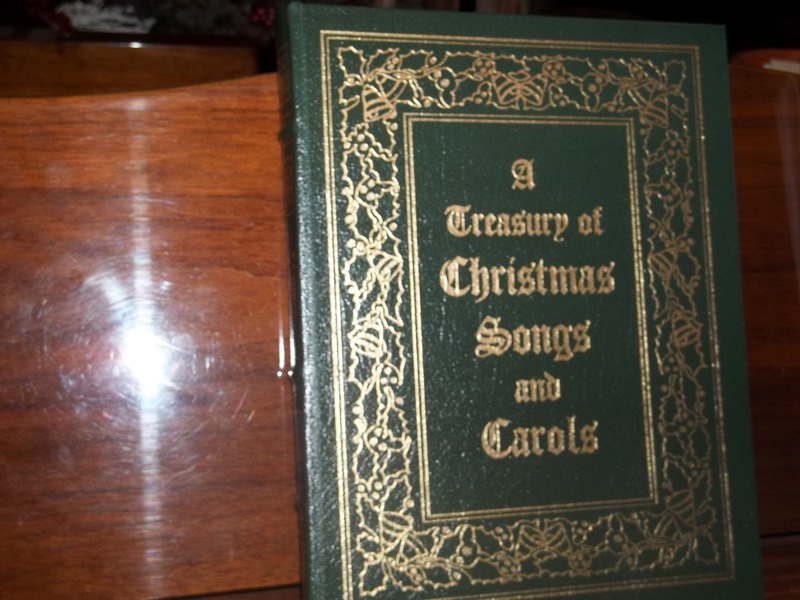 It is a collection of Christmas music from around the world, many very old traditional carols. I do not form a new collection; I remember this very good one and bring it close to me so that I can use it, savoring the words and melodies. This is a good picture of the word recollect for me. My grandparents used that word, pronouncing it “reck-o-lect,” as remembering. But the wider meaning is one of gathering back, of bring back to awareness, to assemble again something that is scattered. It is this sense of gathering back that I am given as Advent unfolds. As I choose to open my music book once more, I am practicing one part of this remembrance.